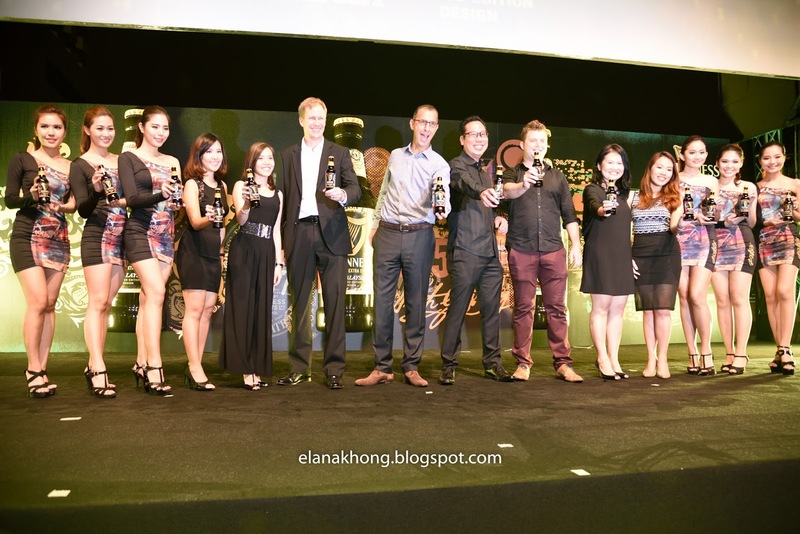 First and foremost, Happy 50th Anniversary to Guinness Malaysia. Guinness, Malaysia's favourite black brew is also happens to be my dad favourite drink. Still remembered during my childhood, my dad will always have a can of Guinness Stout before he called it a night. 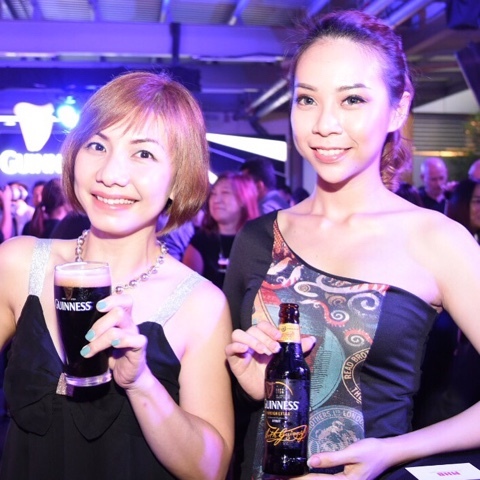 Today, Guinness celebrated their milestone of 50 years of brewing Guinness in Malaysia by unveiling three limited-edition designs for its Foreign Extra Stout bottles and can at a spectacular launch event in the Intermark Hotel, Kuala Lumpur last night. The three limited-edition designs created specifically for the Malaysian market will be available while stocks last between now to November, are a marked departure from the brand's iconic black and gold visuals. Inspired by Malaysia's wealth of history and culture, each bottle are bursting with vibrant colours and intricate patterns. Rest assured, the glorious Guinness inside, still the exact same formula Malaysians have known and loved for all these years. The new limited-edition designs have not only been inspired by Malaysia, it is also created by Malaysians for Malaysians. Behind the designs are five luminaries of the Malaysian creative scene, who came together to explore the concepts of history, identity and culture. Its also stretch back to our tribal roots, through to the age of independence, leading into the modern day and looking ahead to the future. Representing a range of creative disciplines, the "Creative Council" comprised of musician Edwin Raj (frontman of local band They Will Kill Us All), artist Donald Abraham, film director James Lee, graphic artist Lefty (Julian Kam) and photographer Vincent Paul Yong. Chilling the night with Guinness Stout draught. Specialty for the night has to be the Guinness Float! Black brew with a single scoop of ice-cream is truly amazing. Thank you Guinness for having us. The new packaging looks awesome. The event looks great. I like how they are going to show Guinness from then to now, it's so creative! I'm really impressed with the setting that takes us back to the 1940s - 1950s. Maybe that was the era when Guinness was just introduced to the Malaysian market? Woo!! Such a nice event, and the 3 limited bottle design is so unique and special!! wow a fun night for the ladies. So fast Guinness Malaysia 50years? wah. time fly. Been reading a lot on the event lately. So happening! Good long stand brand! You girls really have so much fun with Guiness, huh? I like the limited edition bottle... U looks pretty in black! I think Guinness event is everywhere on the internet and loved their limited edition bottles. I try finding the bottles cant find any in jaya grocer. Looking good Elana! And those designs are quite artsy too. I don't drink. But heyyy...nice event there. all the pretty ladies. drink up! to guinness! I like the miniature limited edition bottles...unique awesome collection! I really love the designs. Planning to purchase some for collection purposes hehe. everyone is looking so elegant at that event, with beautiful backdrops etc you really look like you travelled back in time. The scene was great Elana, was good seeing you there. The limited edition bottles were a wonderful addition to the celebration too.